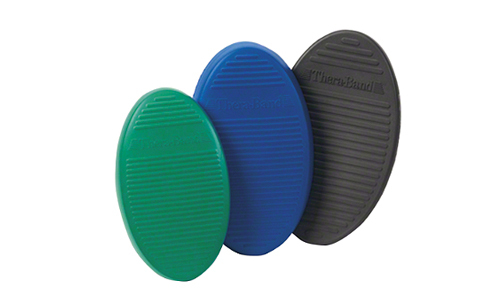 Thera-Band Stability Trainers promote balance and postural stability whether for rehab, sports or everyday life. The Stability Trainer is used specifically to improve balance, postural stability, proprioception and coordination. Stability Trainer can also add challenge to traditional exercises, thus requiring more work from the core postural muscles. Two color-coded levels for progressive destabilization.